At BC Basement Systems, we fix flooding basement windows every day. For your free wet basement repair quote in Vernon, Kamloops, Kelowna, Nelson, Quesnel, Penticton, West Kelowna, Salmon Arm, Castlegar, Williams Lake, Trail, Coldstream, Winfield, Westbank, Armstrong, Chase, Oyama, contact us today! Install A Perimeter Drain: At BC Basement Systems, we recommend that water from your WellDuct® is directed into a French drain system. Direct Water Into Your Perimeter Drainage System: The WellDuct® will be placed on the inside of the basement wall, directing water down into your perimeter drain. The WellDuct® is mechanically fastened to your basement wall. Seal The Drain: The edges and top of the WellDuct® will be sealed to your wall with a polymer sealant. Once the workplace is carefully cleaned, your installation is complete! 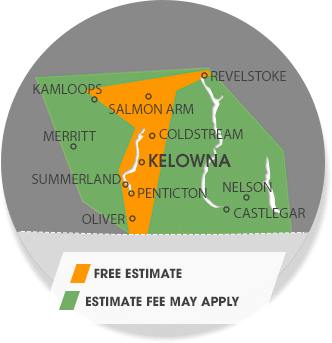 Call or e-mail us today for a free waterproofing quote in Kamloops, Kelowna, Vernon, Nelson, Quesnel, Penticton, West Kelowna, Salmon Arm, Castlegar, Williams Lake, Westbank, Trail, Coldstream, Oyama, Armstrong, Chase, Winfield and the surrounding British Columbia area!